Inventory & Sales Manager by iCubemedia Inc. 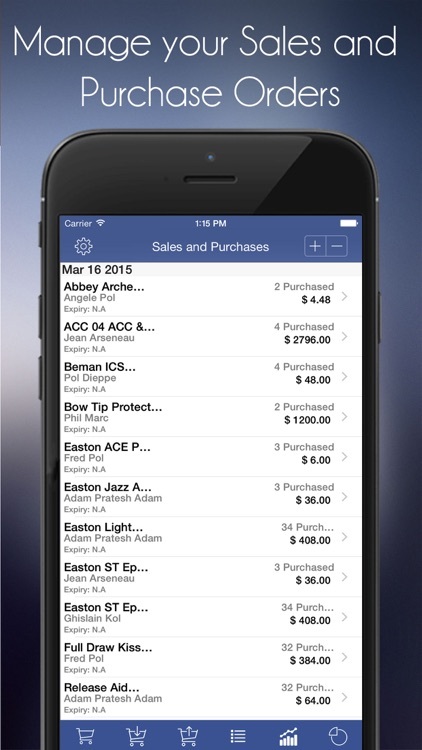 The Inventory & Sales Manager app gives you the features you need to keep your inventory up to date and much more. 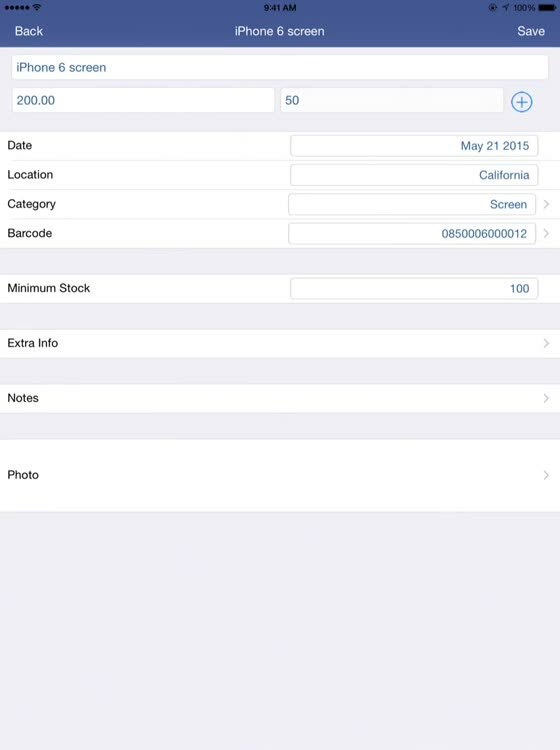 You can make or receive PayPal payments, import and export data, get minimum stock alerts, and scan product barcodes. 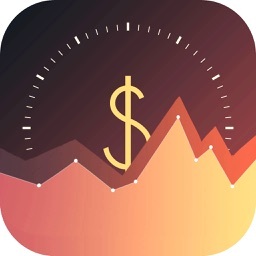 In addition, the app offers cost tracking, pricing models, inventory forecasting and optimization. 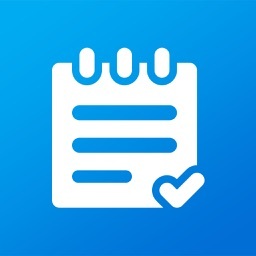 Inventory & Sales Manager lets you take care of inventory, PayPal payments, customer and supplier history, and more, from your iPhone or iPad. 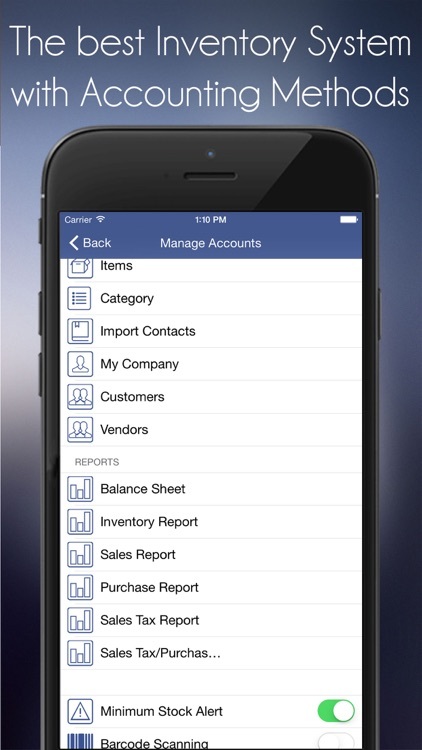 Inventory & Sales Manager helps you manage and track your Inventory and Orders with accounting methods. The balance sheet will give you a quick snapshot of all of your inventory. 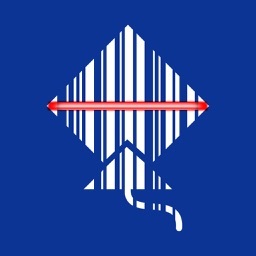 Record easily your sales and purchase orders with the barcode reader. Email/Print invoices or sale receipts to customers or vendors. 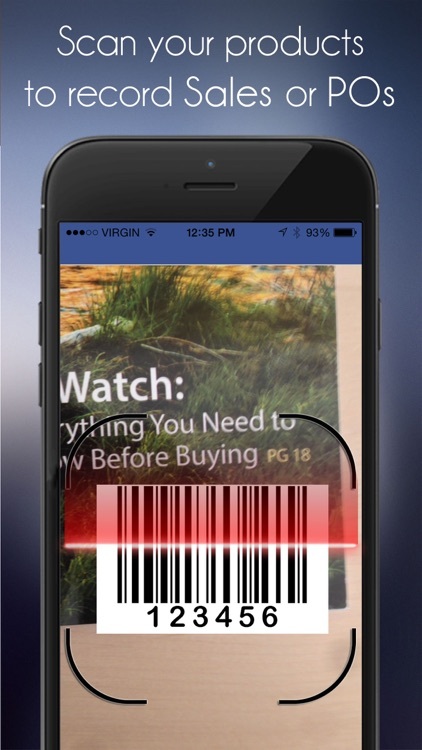 The barcode will pull up all information on the item without any extra taps or clicks. 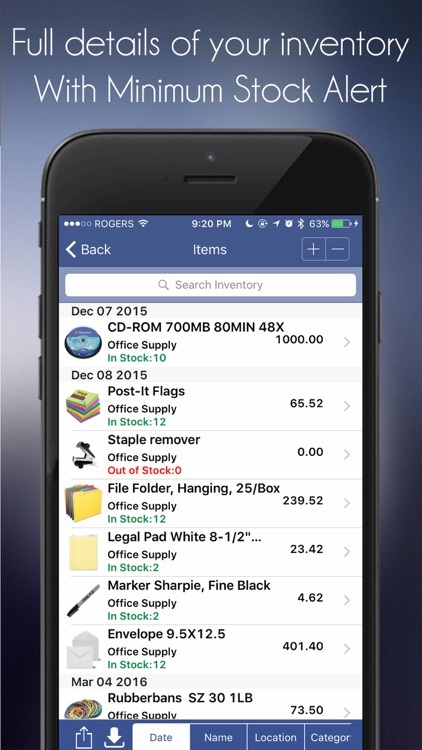 Inventory & Sales Manager is a complete mobile inventory management system for small businesses. Dramatically increase profitability with an automated, real-time, user-friendly approach to inventory management. Eliminate inventory write-offs, quickly perform audits, and stop wasting time searching for lost inventory. Quickly sync data between all your devices. 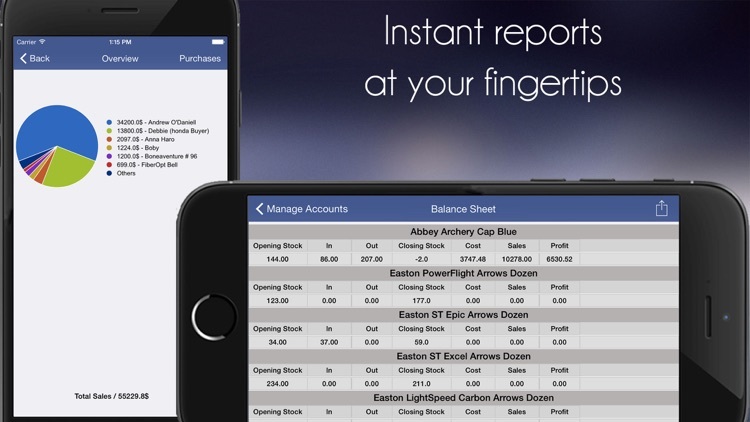 Ability to show a daily, weekly, and monthly Sales and Purchases report for each line item. Issue reports for a specific client or a supplier by date or by item. Export tax reports on your sales or your purchases. Import and export inventory list from other software and inversely. * Pay or receive payments with Paypal (New feature). 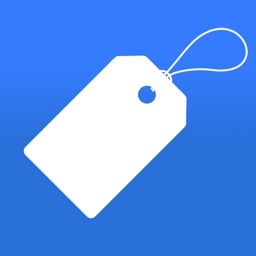 * Email/Print invoices or sale receipts to customers or vendors. 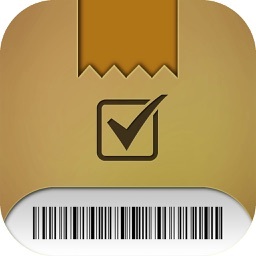 * Barcode Scanning (Turn toggle switch on for Barcode Scanning from settings and turn the app into a POS for Sales and Purchases).